Update: The Florida Public Service Commission voted unanimously Friday to issue a declaratory statement in support of Sunrun’s petition. “Residential equipment leasing makes solar more attractive for some customers, and today’s decision confirms that Florida’s ratepayers have that option,” PSC Chairman Art Graham said in a statement. Sunrun wants to begin leasing rooftop solar systems to residential customers in Florida, but only if state regulators confirm it won’t be regulated as a public utility. One of the nation’s largest rooftop solar installers, Sunrun employs more than 3,200 people in 23 states. It started selling its products in Florida last summer following the passage of Senate Bill 90, which exempted solar and other renewable energy installations from paying property taxes. In December, the company asked the Florida Public Service Commission for assurance that if it leases systems to customers in the state, neither the company nor its customers would be subject to utility regulations. The five-member commission is expected to vote on the matter Friday. In an April 6 memo, commission staff recommended the board side with Sunrun’s interpretation, because lease payments from customers would be fixed and not based on electric production. “[O]ffering its solar equipment lease to customers in Florida as described in Sunrun’s Petition will not cause Sunrun to be deemed a public utility under Florida law,” it said. 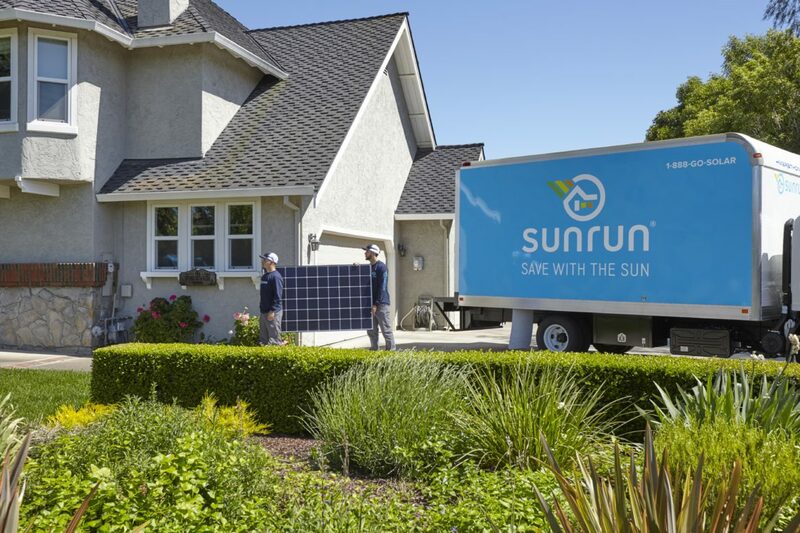 Sunrun, founded in 2007, helped pioneer the solar-as-a-service business model. Last year, it overtook SolarCity to become the nation’s largest solar leasing company. In the Southeast, it’s offered solar leasing in South Carolina since 2015. In Florida, the company projected last year that it would employ about 80 people split between Tampa and Orlando. The leasing model, which Sunrun offers in 20 states and the District of Columbia, makes solar power accessible to customers who prefer not to, or cannot, purchase and pay for panels upfront. Lease payments are fixed for 20 years, after which customers can buy the equipment, renew a lease, or request removal. Customers are responsible for maintaining the systems, while Sunrun receives tax credits and depreciation benefits. The company cites in its petition a 1986 case involving Monsanto’s leasing of cogeneration equipment. The commission concluded then that the agricultural company was leasing equipment rather than buying electricity. “Sunrun’s residential solar equipment lease is intentionally and specifically designed to be consistent with the Commission’s holding in Monsanto and as such, will avoid any implication of the sale of electricity,” Sunrun wrote in its Dec. 29 petition. The company declined further comment. Only two other companies have formally weighed in. Gulf Power and the Florida Public Utilities Company in a joint brief question whether the commission had enough information to decide on Sunrun’s leasing status. If regulators accept their staff recommendation and agree with Sunrun’s petition, a formal order would be issued within 20 days, after which others would have 21 days to object. Sixty-year-old Philip Stoddard, the mayor of South Miami and a full-time biology professor at Florida International University, spoke with Southeast Energy News about how and why he became a mayor, how he marshals science to pass successful legislation supporting renewable and green energy, and what he sees for the future of climate-vulnerable cities like South Miami.